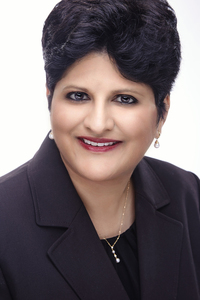 Swati S. Desai is an attorney in private practice in Libertyville, Illinois. She is a graduate of Syracuse University College of Law (J.D.) and John Marshall Law School (LL.M., Taxation). Ms. Desai is also a member of the Illinois State Bar and admitted to practice before the U.S. District Court for the Northern District of Illinois. She is a regularly published former Associate Editor of Litigation News, an American Bar Association (ABA) Section of Litigation legal magazine with a circulation of over 74,000 ABA members. Her undergraduate degree is in Finance from the University of Illinois Urbana-Champaign and she has a Master’s in Magazine, Newspaper and Online Journalism from the S.I. Newhouse School of Public Communications. Ms. Desai has practiced law in the Lake, Cook, DuPage, Kane, McHenry and Will Counties for the past decade, and specializes in civil and commercial litigation. She has been active in the local community by volunteering for the Lake County Haven and Prairie State Legal Services.